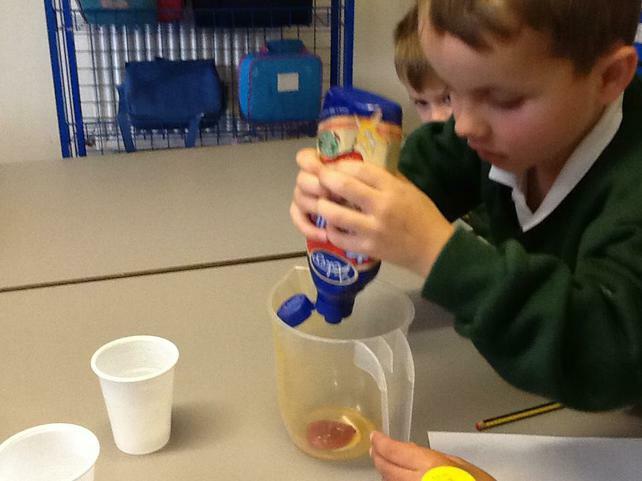 We very impressed with George's medicine making skills so we have put on our wizard hats and made our very own magical potions. 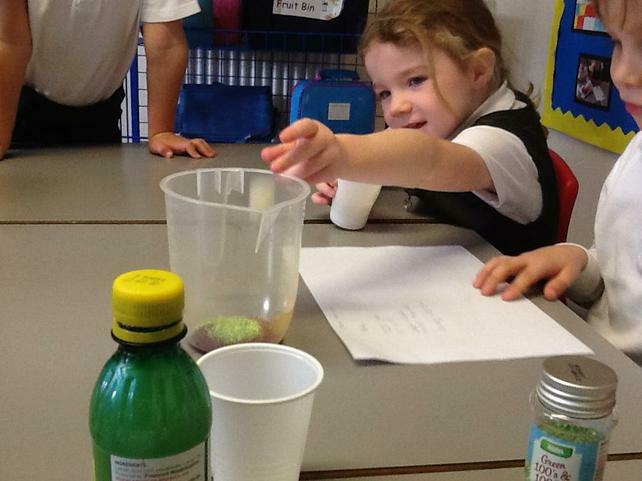 We have concocted potions full of deadly dragon's blood, crushed sapphires, greasy slug slime, slimy eye balls and sparkling fairy dust. 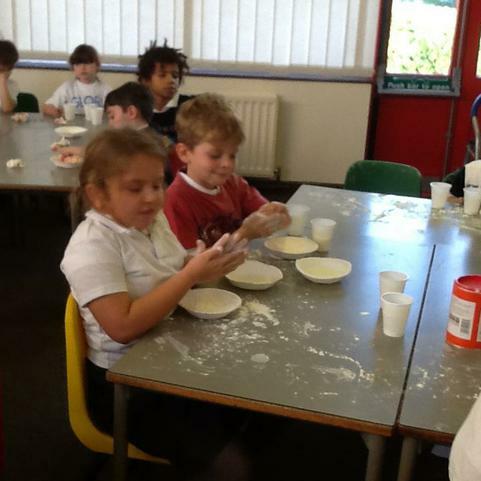 We were very proud of our assembly that was about our new Muck, Mess and Mixtures topic. 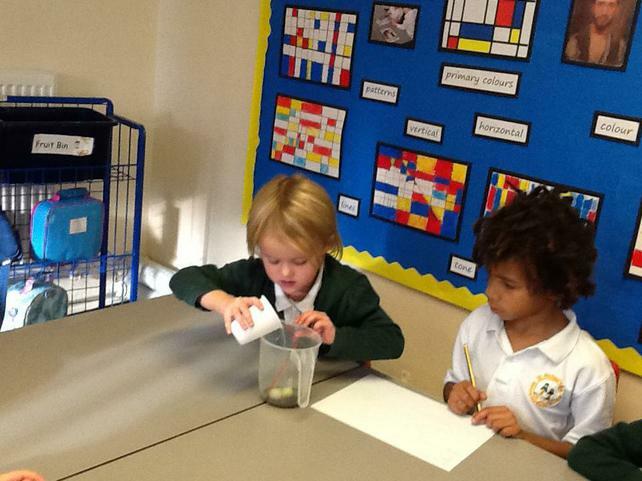 We also told everyone all about the book we have been reading, George's Marvellous Medicine. 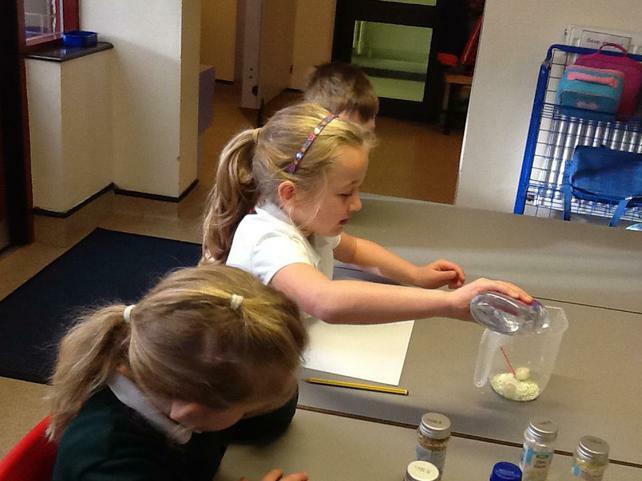 In our assembly we showed just how horrid grandma was and how George made his marvellous medicine. It was lots of fun! We looked at an abstract painting by an artist named Piet Mondrian. We noticed that he used horizontal and vertical lines. He also used the primary colours in his painting. In our art work we used oil pastels for the primary colours and a black coloured pencil for the lines. 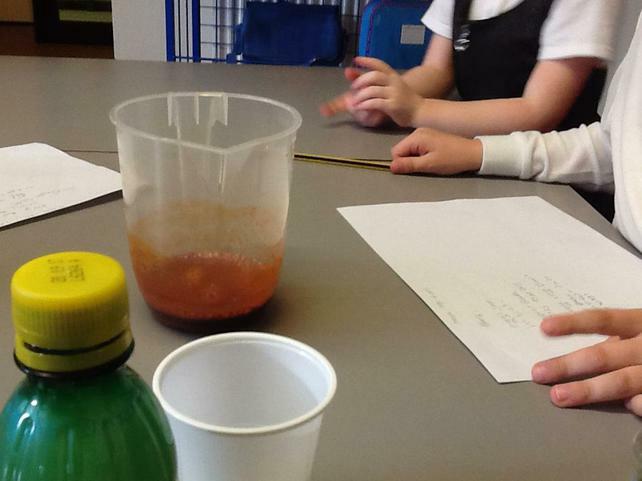 We had a messy afternoon exploring different mixtures as part of our new Muck, Mess and Mixtures topic. 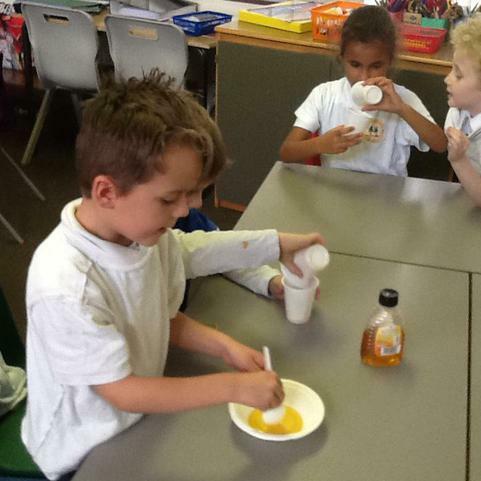 We looked at lots of different ingredients such as honey, cornflour, body lotion, jelly and whipped cream. 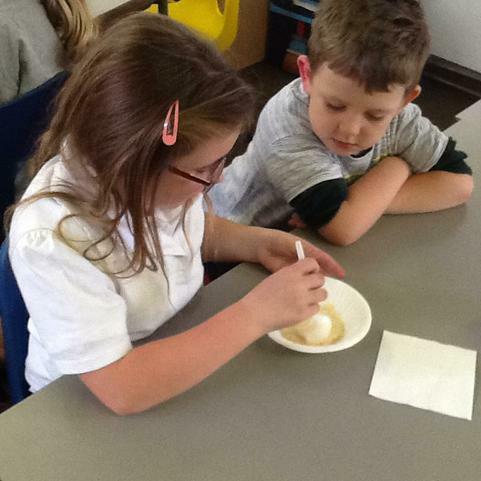 We thought about the appearance, how they poured and felt.